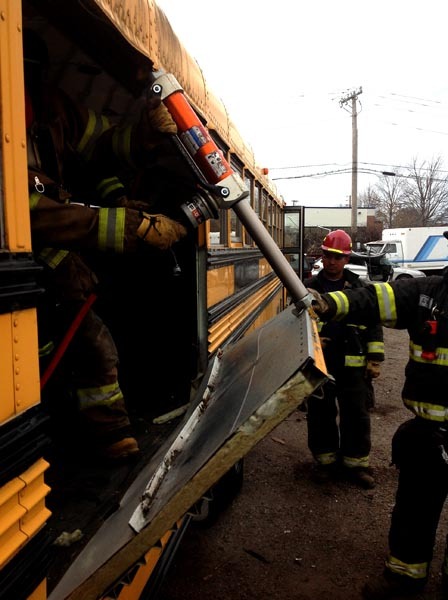 This dynamic 1 day class covers lifting, stabilization, and extrication techniques on a full size school bus. During a brief classroom discussion students will learn about school bus anatomy and basic safety features in and around the vehicle. 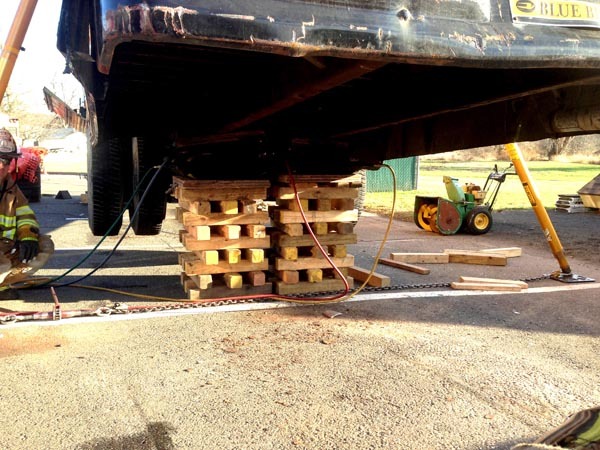 The hands on portion will begin with basic stabilization using cribbing and struts. Students will then move on to lifting operations performing basic lifts from various points in the front & rear of the vehicle. 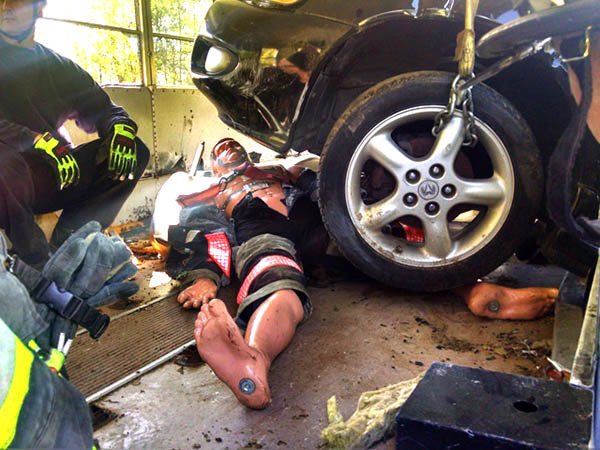 The afternoon session will involve various extrication techniques involving front & rear door removal, roof removal, seat removals, and side wall cut downs. Students will be exposed to a variety of pneumatic, hydraulic, and electric tools during the hands on portion of this class.